The day after I graduated from Kindergarten, Mommy, Papa, and I (Cameron began summer work) flew to San Diego (I love flying!). We stayed at the Ramada Inn in Carlsbad, which served hot breakfast every morning—even waffles—and had a very nice outdoor pool. I swam there nearly every day. Our first full day we visited SeaWorld. We started out by watching the Believe! show with Shamu. It was so great when he jumped out of the water! We sat in the Soak Zone, but we didn't get wet. Later we watched the Blue Horizons show with dolphins and pilot whales. We were barely in the Soak Zone that time, but the pilot whale's tail splashes were so powerful that I got drenched! I had to take off my wet shirt and wear Mom's sweater for a while! 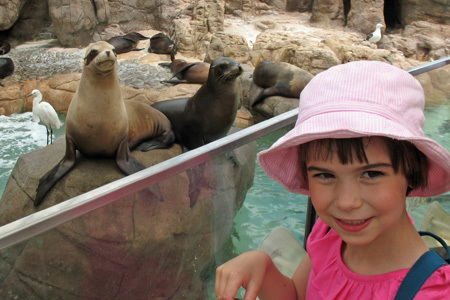 Other things we did were feed the sea lions [right], feed the bat rays, visit with beluga whales and walruses, watch the Sea Lions Tonight show, and ride the Journey to Atlantis, the Shipwreck Rapids, and even Elmo's Flying Fish in the Sesame Street Bay of Play. It was a spectacular day! The next day we went to the San Diego Zoo's Wildlife Park. We rode on the tram tour around the park, seeing rhinos, antelope and water buffalo, giraffes, and zebras as if they were in the wild. The rest of the day we walked through the African Village. We saw elephants (lots of babies! ), lions, a cheetah, meerkats, a warthog, and many kinds of birds, including lots of flamingos. I met an African prince, petted a barasingha, sat at story time to listen to an African folk story, and played with other kids at the Samburu Jungle Gym. When it was time to go, I did not want to leave. For our third day, we drove south on Highway 101. We stopped at Seagrove Park in Del Mar to play on the beach and ate in a surfer sandwich shop. Then we drove all the way south to Cabrillo National Monument at Point Loma. 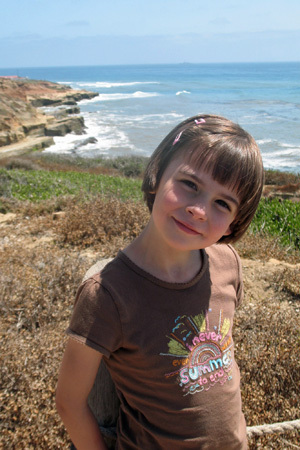 There we climbed the stairs of the old lighthouse and wandered Sunset Cliffs looking for crabs in the tide pools. We also went to the San Diego Zoo. We rode around in the top of the tour bus for an overview of the zoo, then toured it on foot. It's a big place... with a lot of walking uphill! Good thing that you can take a bus around, too. Some of my favorite exhibits were the giraffes, the rhinoceros, the leaping antelope, the koala bears, the dik diks, the pandas, the Polar Rim, and the nesting and baby flamingos. I also really liked the Fossil Portal of the Elephant Odyssey. It had a simulated tar pit because the exhibit featured animals that lived in California during the Pleistocene epoch, like giant sloths, saber-toothed tigers, and mastodons (the ones on display weren't real because those animals have been extinct for a long time). We also rode on the Skyfari Aerial Tram and saw the entire zoo from way up high. On our last full day, we drove to La Jolla. We climbed down 145 steps to explore the Sunny Jim Cave; there we could hear sea lions but couldn't see them. Back up on top, in the Ecological Reserve, we could see all the sea caves and lots of sea lions gathered on the rocks. (They are smelly!) Then we went to La Jolla Cove, a small, protected beach park, and I found friends to play with on the rocks and in the surf. A hurt baby seal was lying among the rocks; we watched him until someone from SeaWorld came to help him. We did so many fun and different things in San Diego. Mommy didn't want to return home, and neither did I. Let me go again! July Fourth was so cold that we didn’t even go to the parade this year. We would have had to wear lots of layers, and we would have gotten wet! Instead, Mommy took me to see The Karate Kid at the movie theater. Later in the afternoon, we went to Scott’s house. It was still gray and cloudy out, but there were other kids to play with and food to eat. And the big kids, Cameron and his friends, were lighting off fireworks the whole afternoon. It was noisy! 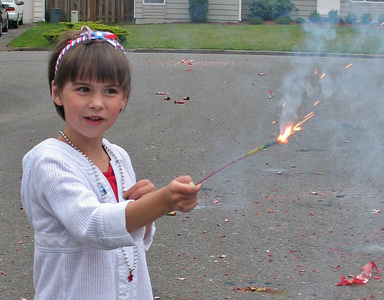 I wasn't left out; I got to throw some poppers and (under careful supervision) wave a few sparklers [right]. We didn’t stay for the late-night fireworks, but when we got home, after I’d put on my pajamas, I was allowed to watch the neighborhood fireworks out of Mommy and Papa’s bedroom window. They were loud and colorful and beautiful and lasted a long time. It was the first year that I got to see real nighttime fireworks, and I stayed up till 10:00, too! July 11th was the World Cup final game in South Africa, and the Netherlands played Spain. To watch it, we went to an Irish Pub in Kirkland called the Wilde Rover with a couple hundred of our best Dutch friends and supporters—even kids! 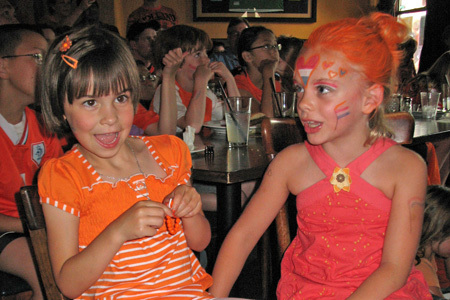 Everyone wore orange, and lots of people painted their faces with Dutch flags or wore funny hats or scarves [left]. We watched on a big screen up front, and it was a noisy, fun party.... until overtime. That's when Spain finally made a goal, but the Dutch weren't able to match it. With the game ending 0-1, all the sudden it wasn't a party any more, and everyone left quiet and sad. This summer when I wasn’t at Miss Stephanie’s daycare or spending the day with Mommy or Papa, I attended four week-long camps: The Wilderness Awareness camp at St. Edwards’ State Park, a Skyhawks soccer camp at Kirkland Boys & Girls’ Club, and two week-long camps at Evergreen Academy. Some of my friends from Miss Stephanie’s daycare, including Ava, went to the Wilderness Awareness camp, too. We spent our days hiking trails, observing bugs and plants and animals—my favorites were banana slugs and garter snakes—learning outdoor skills like making a lean-to out of sticks, and singing songs and telling stories at circle. Mommy and Papa had to put plastic garbage bags on my seat when they picked me up in the afternoon because I was so dirty! It was the best fun! 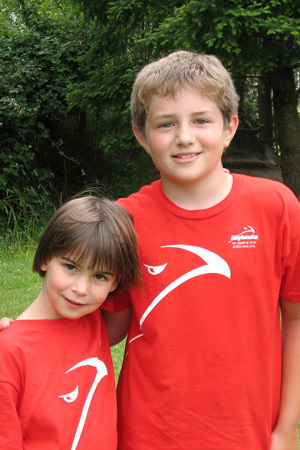 I was very surprised when I arrived at soccer camp to find Cameron’s brother (that makes him my brother, too), Brennan, there [right]! It was a group of about 20 of all ages, so in the mornings we’d break up into groups our own age, and then in the afternoon we’d play games with mixed ages on each team. My favorite position was goalie because then I didn’t have to run around so much. All-day soccer camp was okay, but I liked the hour-long Li’l Kickers after-school camp better. The theme of my first week at Evergreen Academy was European Adventure. Each day we did activities related to a different European country—none of which was Holland! The first day was England, then France, Germany, Italy, and Spain. We learned a few words in each language, made some art or crafts, colored or painted their flags, and even had a culture-related snack. For England, I made a coat of arms about me. For France, I drew the Eiffel Tower and then glued on toothpicks to look like girders. For Spain, I made a Picasso drawing, for Germany, a cubist painting. My favorite parts of the day, though, were playing outside on the playground. Plus, I met a girl who will be in first grade there in the fall, just like me! My second week at Evergreen Academy camp was similar, but the theme was Under the Sea. All our art was about the sea and sea animals. Also, my neighbor Natalie was there, so we had fun playing together all week. Even though the summer was sometimes cold and rainy, we kept busy with lots of fun activities outside. On June 27th we went to the Scandinavian Midsommarfest at St. Edwards State Park. Musicians played Nordic music, there were booths of food and crafts (we bought special cookies), and I helped decorate the children’s majstån—Midsommar pole. Later, Mommy and I watched Papa help lift the 45-foot majstån, as folk dancers entertained us, and then I joined hands with lots of other people to dance the långdans around the pole. On a few weekend days when it was actually hot, Mommy took me to Waverly Beach in Kirkland [left]. (I also went there a few times with Miss Stephanie's daycare.) It’s a small park but really nice because it has a sandy beach area for digging, an enclosed, shallow area for swimming, a big play structure, lots of grass space for sunning, big trees for shade, a good breeze from Lake Washington, and even a concession stand that sells shaved ice. We packed a picnic lunch and spent four or five hours each time. While Mommy read a book or dangled her feet in the water, I played in first one area then another, making lots of friends. In late July, we spent a day at the Bellevue Arts Festival. We looked at some of the juried art, but we spent the most time at the Bellevue Art Museum, where there were lots of crafts for kids. I made a mask, a watercolor painting, a sock puppet, and a spin-art picture. We also walked to the 6th Street Fair and looked through all the crafts booths. Papa bought me ice cream, and Mommy bought the two of us big sun hats for vacations. 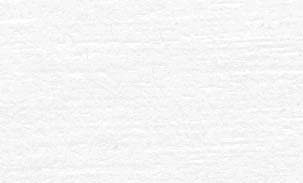 I did a lot of reading this summer. King County Libraries had a reading challenge, and for every 20 minutes of reading (usually I read for 10 minutes, then Mommy read to me for 10), I colored in a square on a special chart. When I got to 500 minutes, I took my chart to the library, and the librarian gave me a half-way prize, a writing journal. Mostly, I read Scooby Doo, Junie B. Jones, Magic Treehouse, and Mrs. Piggle Wiggle chapter books. In all, we read 1,000 minutes! I can ride a bike without training wheels! Mr. Rob volunteered to help me because he’s taught lots of kids. (And I don’t like Papa telling me what to do.) So the first time we went to his house with my bike. He explained about turning the wheel to keep the bike balanced. I was scared, but he held the bike and ran beside me and didn’t let me fall. After that, I practiced every few days, sometimes with Mr. Rob and sometimes Mommy and Papa. I think I complained a lot, but every time it got a little bit easier. Then about the fifth time, on August 3rd, I tried it one night while my friends Ella and Max were outside—and I rode the whole length of the driveway! Ella and Max clapped and cheered, and that made me really proud. Mommy said she was proud of me, too, not just because I could ride a bike but because I had worked hard and persevered. 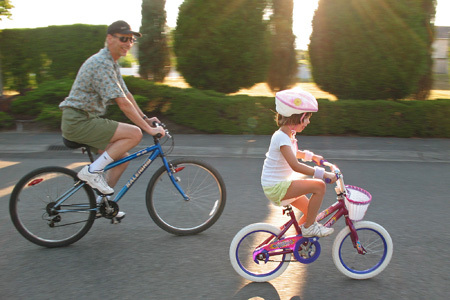 By the middle of August, I was riding alongside Papa on his bike all around the neighborhood [right]. Whoohoo! I’m definitely a big girl now! In late August, Mom was so disgusted with Seattle's cool and dreary summer weather that she decided to get away to guaranteed sun. So we spent a weekend east of the mountains in Moses Lake, Washington. It was sunny and warm—and we did have a great time. 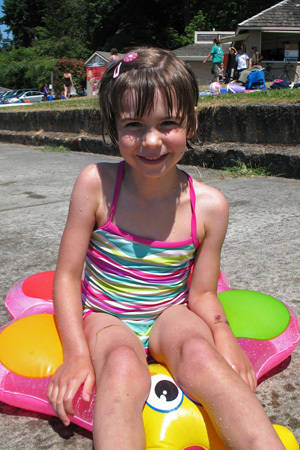 We stayed at a motel with an outdoor pool, and I spent all Friday afternoon and Sunday morning playing with other kids in the pool and laying in the sun. Saturday we spent all day at the Surf 'n Slide water park. 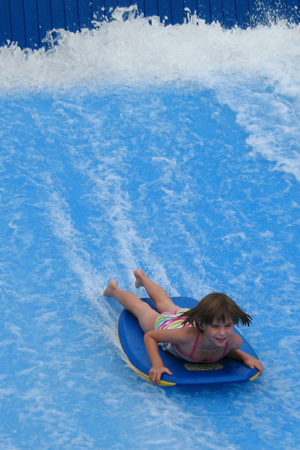 I went down the water slides, jumped off the diving board, floated along the 300-foot Lazy River in an inner tube, dug to China on the children's beach, and body surfed on the Flowrider, a surfing simulator. That was really fun, and I was pretty good at it, too—I stayed on longer than some of the boys [left]! Even dinner was fun: we went to the Golden Corral, and I got to choose whatever I wanted from the buffet, plus an ice cream sundae for dessert. How could a kid ask for more?! 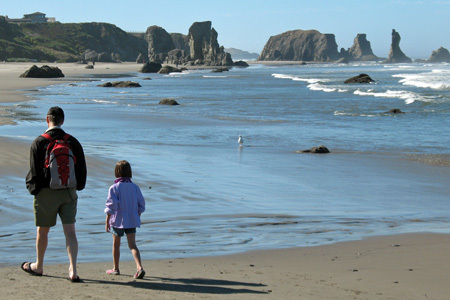 My last trip of summer was a drive in the Chateau op Wielen (our RV) to the southern Oregon Coast. We spent the first night with the Williamsons, which allowed me to visit again with their chickens and collect more eggs. The next afternoon we arrived at Bandon. China Creek Beach was a 5-minute bike ride from the RV Park, and I pedaled with Mom and Papa on the road to get there! It was a great beach, with lots of sand for digging. The next two mornings we spent at nearby Coquille Point Beach. The first morning it was foggy; the next it was sunny and clear but very windy (Mom’s hair looked like a plover nest!). The tide was out, and we spent a couple hours each morning walking a long way and exploring all the sea stacks and rocks [right]. We found caves and tunnels, and lots of tidepools with sea animals, including sea stars, sea urchins, crabs, and anemones. We saw gulls’ nests up in the rocks, and once we came upon a huge turkey vulture standing still with its wings out at full span (six feet?) to warm itself. We had lunch along the waterfront in old-town Bandon, including fresh fish and chips at a small fish shack. We also walked along the crabbing dock each afternoon, where some nice people taught me how to tell boy and girl crabs apart, showed me how to measure them, and let me help them pull in the crab pots and throw them out again. I really liked that! In the afternoons we went to different beaches where I played in the sand and found other kids to get dirty with. After a final morning bike ride to the beach, we headed north to Newport. We spent a couple hours in the Oregon Coast Museum there; they had the best touch tidepool I’ve ever seen—and I touched everything in it! All night long we listened to sea lions barking, so the next morning we walked the Newport waterfront to find them. Along the way we saw fishing boats unloading, a fish plant hauling fresh fish, and crabbers, too. When we finally found the sea lions, we spent a long time watching them jockey for position on the docks until our ears couldn’t take the noise any more! Our last afternoon was very long. Papa decided to just drive all the way home, so by the time we got there, I was already asleep. Had it all been a dream?